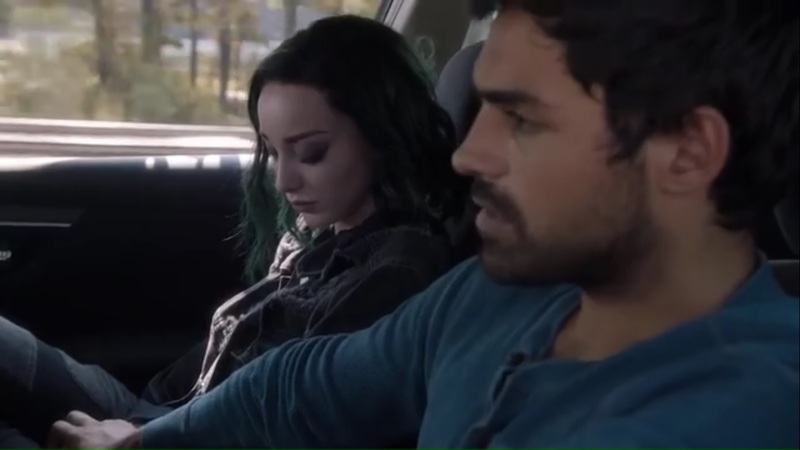 A Look at The Gifted- Season 1, Episode 5: “boXed in” | What Else is on Now? 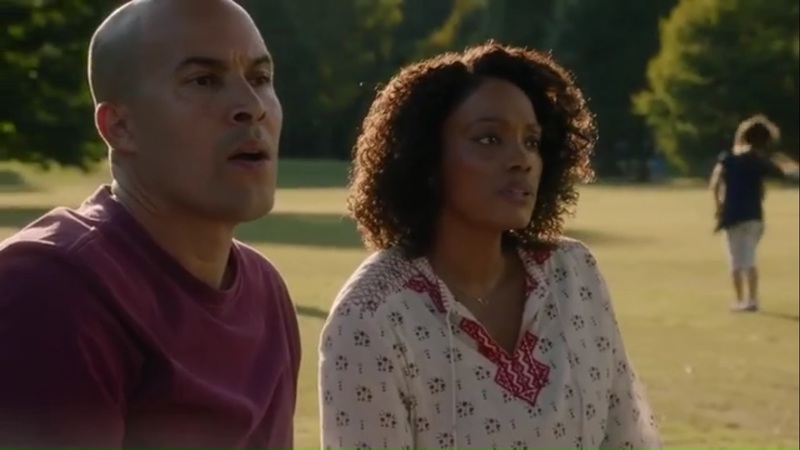 The episode begins with a flashback to four years ago in Dallas, Texas as Jace Turner and his wife, Paula, played by Frances Turner, watch their daughter, Grace, play in the park. They hear commotion from a nearby mutant rights demonstration and incoming police. Fights break out as energy starts streaming upward, but Grace doesn’t leave the wheel in time before a blast hits. In the present, the mutants have eluded Sentinel Services for now, but Turner wants a drone in the air so they can track the stolen vehicle and capture the mutants. In said vehicle, the others unload. 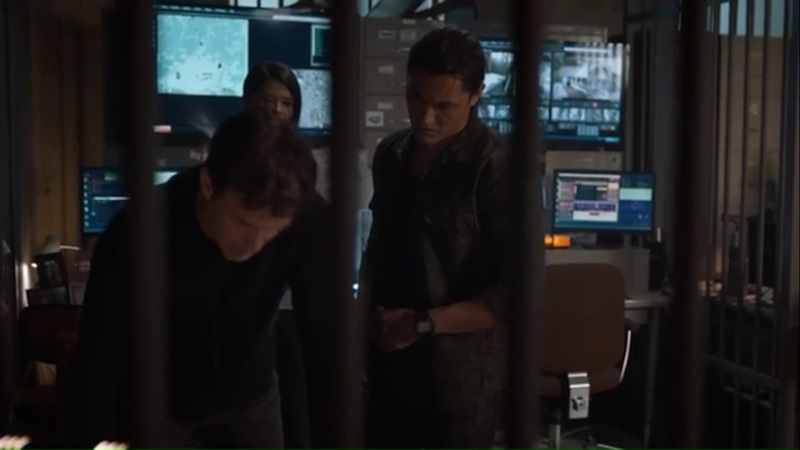 Reed thanks Marcos for saving him and learns from Caitlin that the kids are safe. As Reed and Lorna change clothes, everyone heads into new vehicles. 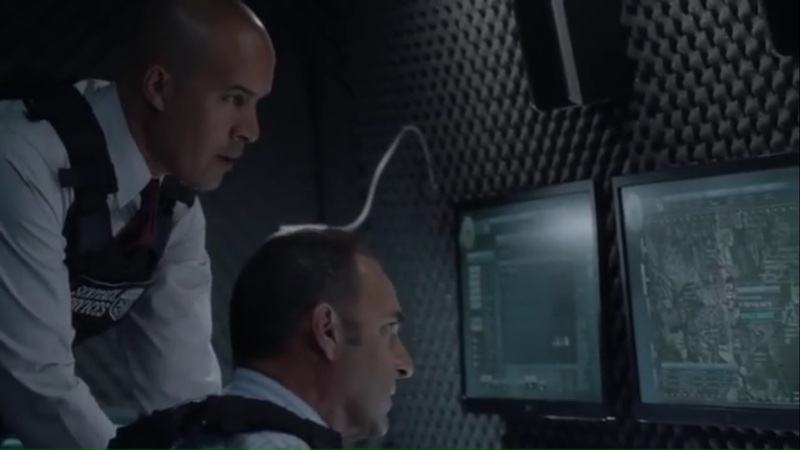 John tells Marcos about seeing Pulse with Sentinel Services, which is why the others couldn’t use their powers. He then senses an incoming Sentinel Services drone. Marcos and Lorna drive off separately to provide a distraction. 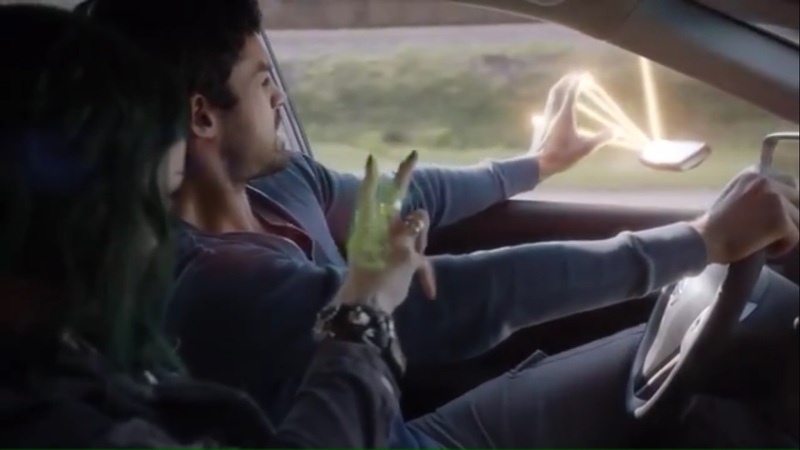 As the drone approaches them on the road, Lorna can’t user her powers on the drone because it’s out of range, so instead, she moves one of the rearview mirrors into position so Marcos can create a light beam that bounces up against the mirror and into the sky, where it destroys the drone. While Turner tracks the van, the others return to the mutant underground and find it overflowing with new residents. Shatter tells John to ask Sage about the sudden surge of new mutants. Reed, meanwhile, reunites with Andy and Lauren. So Sage informs John that because Sentinel Services is searching every hideout that’s even suspected of holding mutants or mutant sympathizers, thus all escapees so far have wound up at the compound. 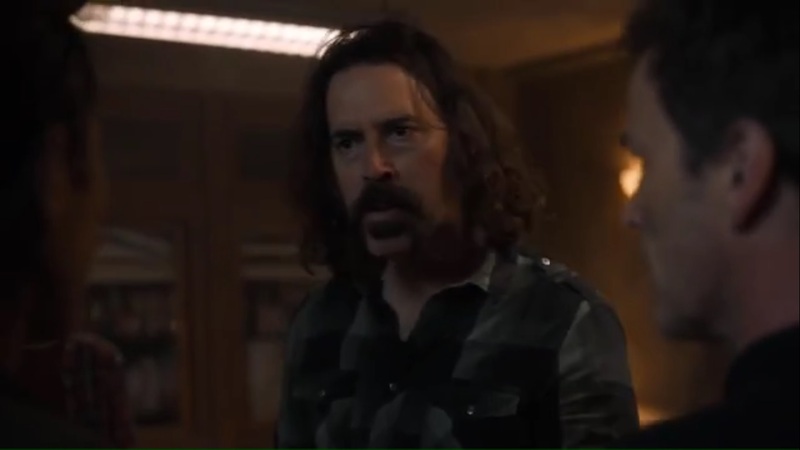 Downstairs, Fade, still livid about Reed’s involvement with Sentinel Services, tries to fight him, but John breaks it up. Okay, so Fade announces to everyone present that yes, Reed Strucker once worked for Sentinel Services. 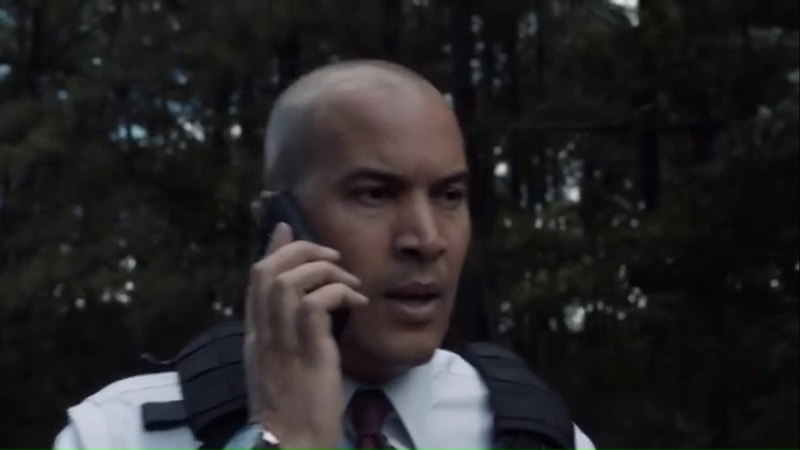 Speaking of, Sentinel Services arrives at a location when Turner gets a call from Paula, who is worried that he hasn’t arrived back home yet since the transfer should’ve been done by now. But don’t worry. Jace will be back soon. While the mutants at the underground don’t take kindly to Reed’s occupation, Andy and Lauren speak up in her father’s defense. 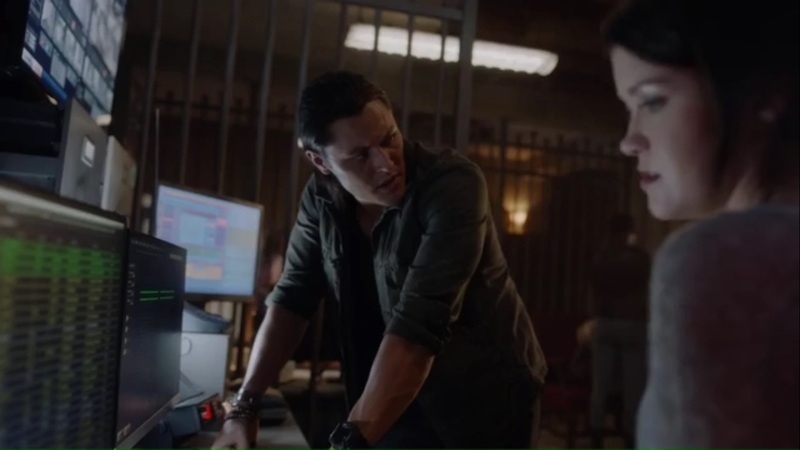 Reed, though, admits that his involvement with the Services was wrong, and that much Fade agrees with, but Caitlin breaks up the confrontation when she goes to deal with the injured. 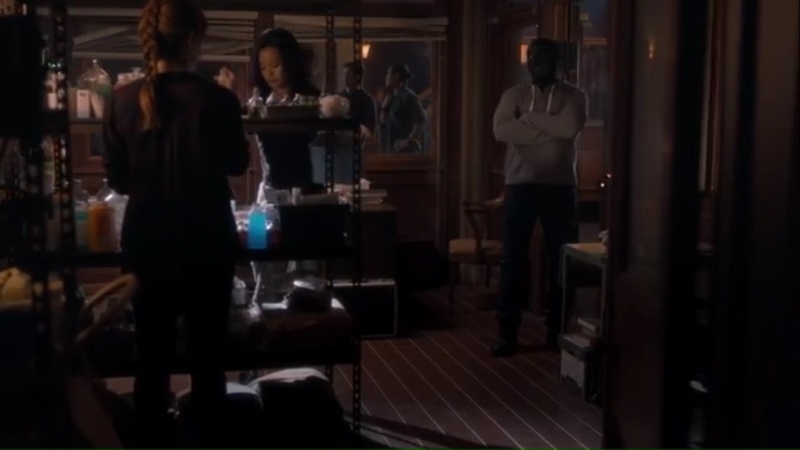 Caitlin goes to Trader, who is still bleeding from his gunshot wound. While the new mutants watch from a distance, Caitlin gets to work, instructing Clarice to grab anything she can find. 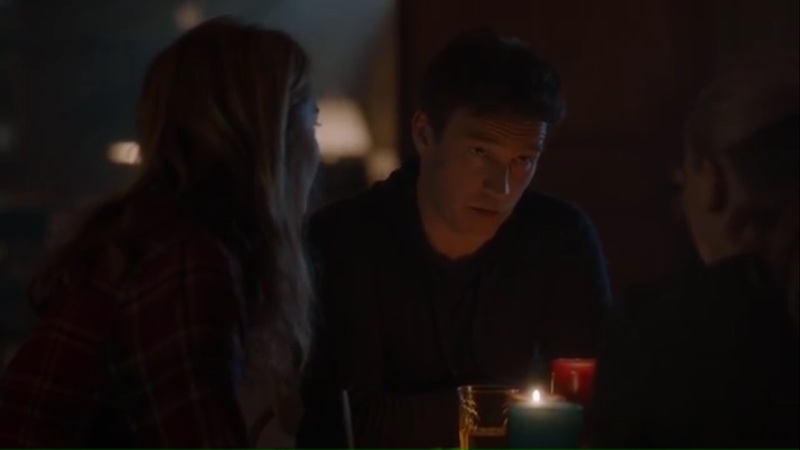 Andy at first wants nothing to do with this, but Lauren says this is the opportunity they need to get the mutants to trust them. At first, Shatter, who I don’t believe has been properly introduced yet, played by Jermaine Rivers, wants Dreamer to use her powers to make Reed forget about the compound, but she’ll only do that with John’s okay, even though she may need to do it soon. She then explains to Clarice that she can wipe and change memories, but doesn’t go into detail. And now Clarice starts piecing together her dreams about John. 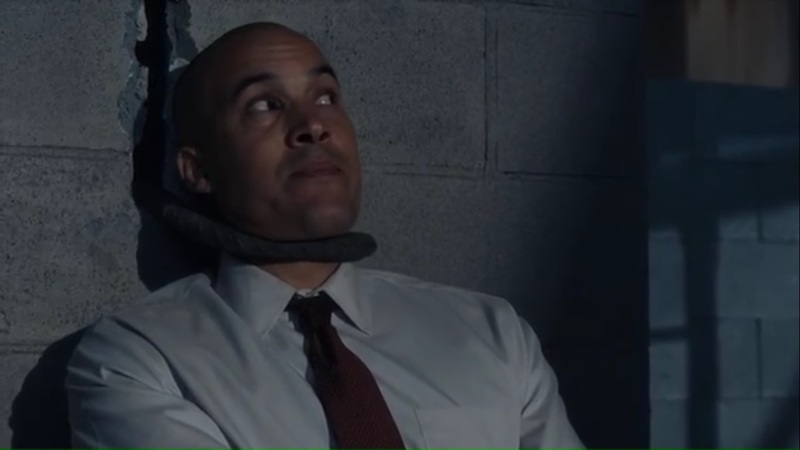 As John tries to diffuse the tension between Fade and Reed, Sage alerts him to something coming up on the scanners: all police chatter has stopped and it appears that the manhunt has been abandoned, but Reed knows that isn’t the case. He offers to lend his assistance, given his experience, and recognizes that all units aren’t converging on something as minor as petty theft. He notes the past three calls and points out that Sentinel Services are trying to both box in Eclipse and Polaris by tightening them into a grid, as well as draw out the underground. On the road, Polaris and Eclipse finally have time to catch up. Polaris tells Eclipse that the baby is fine and she can feel it inside of her. While imprisoned, she was concerned about bringing a baby into the world, while Eclipse couldn’t stop thinking about meeting the baby and being a father. As the two create another aurora borealis, they start going over potential baby names, one of them being Aurora. Hmm. Back on the road, Turner’s reinforcements have yet to arrive, and turns out that they won’t be necessary anyway, as Eclipse and Polaris are headed right for their roadblock. Polaris forces the car to accelerate towards the officers until it comes to a stop. She easily overtakes the officers, taking away their guns and telling Turner that he’ll be coming with them. Hooray for road trips. 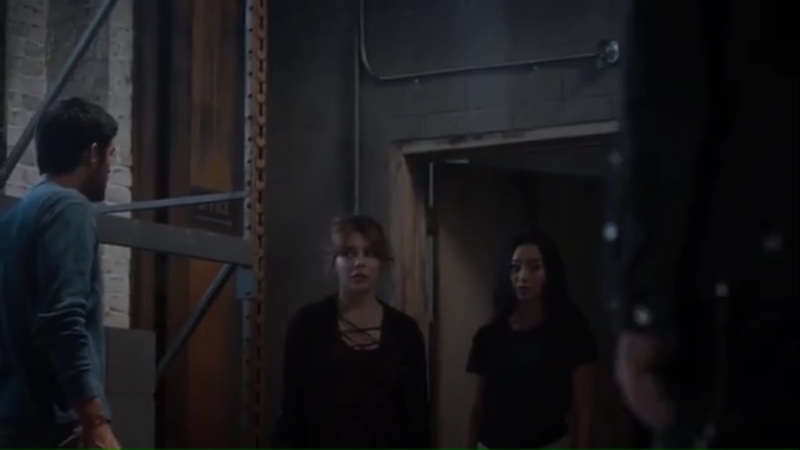 They take Turner to an abandoned building, where Polaris restrains Jace by pulling a metal bar out of the wall and wrapping it around his neck. She wants to find out what happened to Pulse, given that turning mutants against each other could destroy them. Not to mention that Pulse was John’s best friend, and if Sentinel Services could get to him, they can get to any mutants, as Polaris tells Marcos that the Services tried to turn her as well. So right now, the two will interrogate Turner on Polaris’ terms. 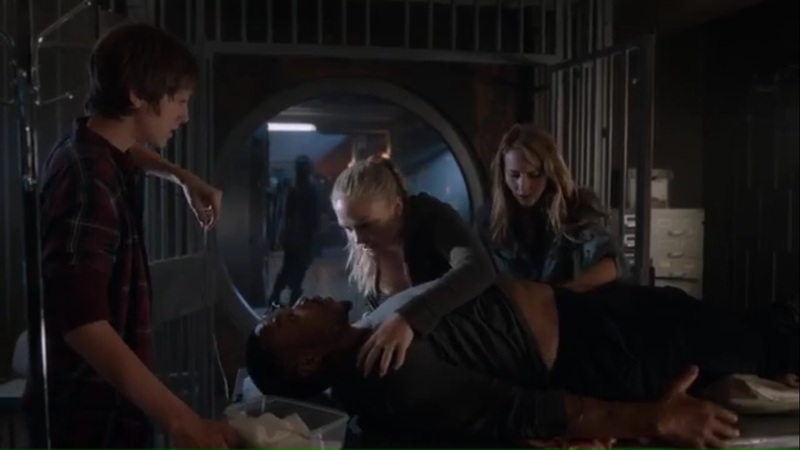 As Caitlin works on Trader, she realizes that she needs blood to transfer to his body. Andy, remembering that he’s type O-, offers his blood, so Caitlin straps up her son for the transfusion. 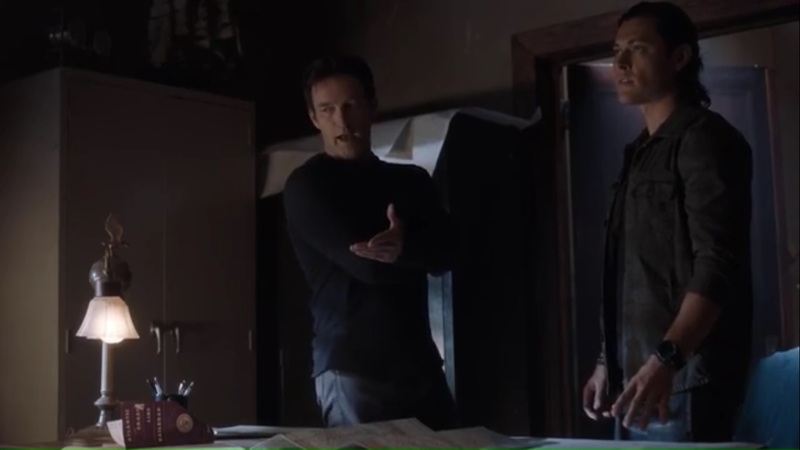 John suggests leaving the underground, but Sage says the probability of escape without capture is low. Never dispute Sage’s hard facts. Reed offers to go out himself in order to steer away Sentinel Services away, but there’s no guarantee that the Services will stop searching or be redirected. Plus, if he’s spotted, the Services could capture and question him on the underground’s location all over again. 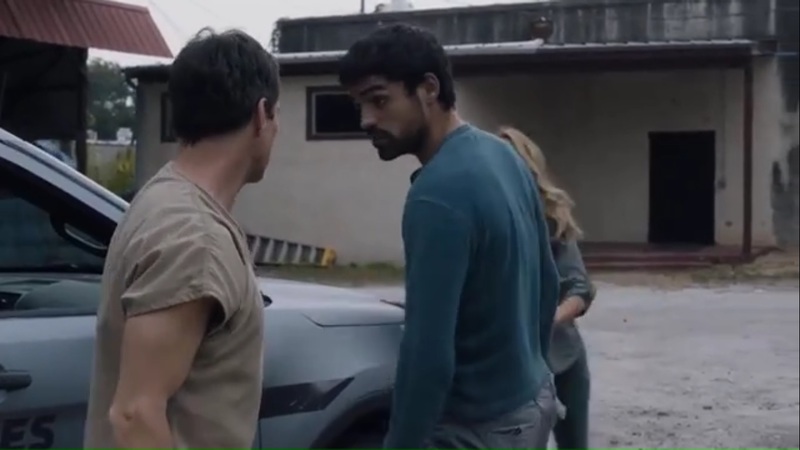 During the interrogation, Turner brings up how he lost his daughter on the July 15th incident and how no one had to die that day, though Marcos points out that a lot of people oh both sides died. Even still, Turner won’t apologize for the violence that’s taken place since then. 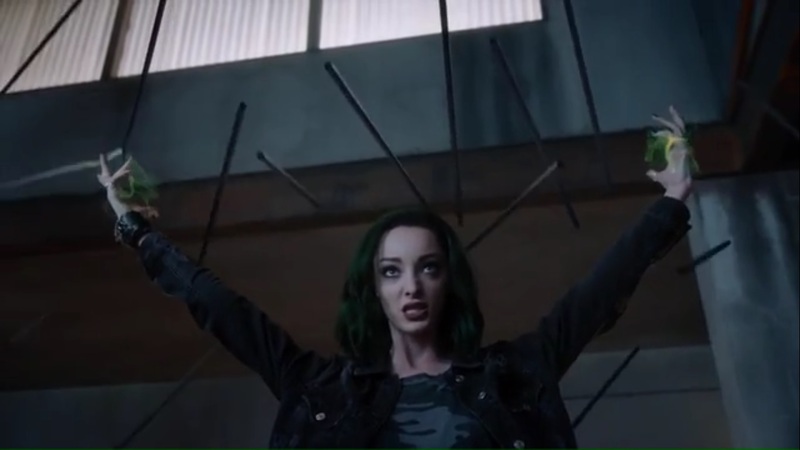 Polaris pulls Eclipse aside and admits that she may sympathize with Turner, but their side has taken a bigger loss, as thousands of mutants have been killed and hunted. They’re fighting for their lives, as well as every mutant that could be turned against them. Since Turner may not willingly give information, Polaris opts to take it. Marcos then calls Dreamer and asks her to come to his location. John recruits a reluctant Fade to help Reed be bait. Caitlin doesn’t want Reed gone again, but there’s no other choice since the underground can’t be evacuated. Plus, Reed wants to make things right and this is his chance to prove that he’s helping the mutants. At the very least, Reed promises to be back by dinner. 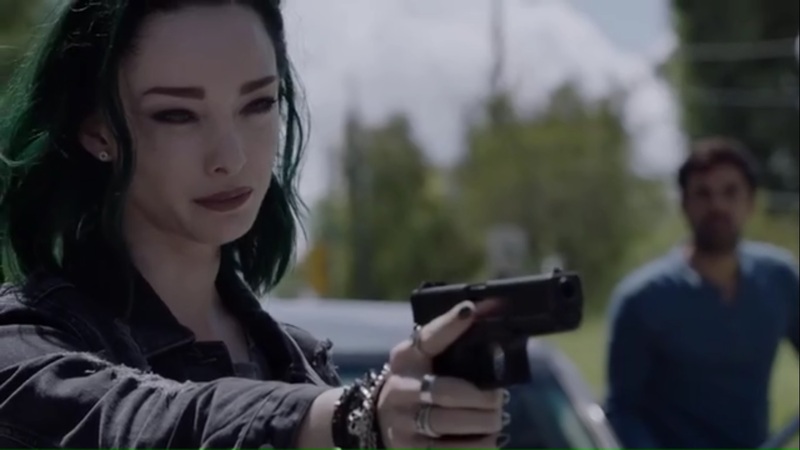 Despite the blood, Trader’s life is still in jeopardy, so Caitlin decides that she’ll have to remove the bullet. Turner tells Marcos and Lorna that this will only get worse for them and that they should let him go, but Polaris wants to know the truth about Pulse and the mutant detention centers, which are used to keep mutants off the streets. Polaris won’t up the scales to torture yet, and that’s when Clarice and Dreamer arrive through a portal. Why a portal? Because Sentinel Services have amassed outside the building. Fade and Reed arrive at a spot. The plan is for Reed to meet up with Fade again after he’s redirected the Services. 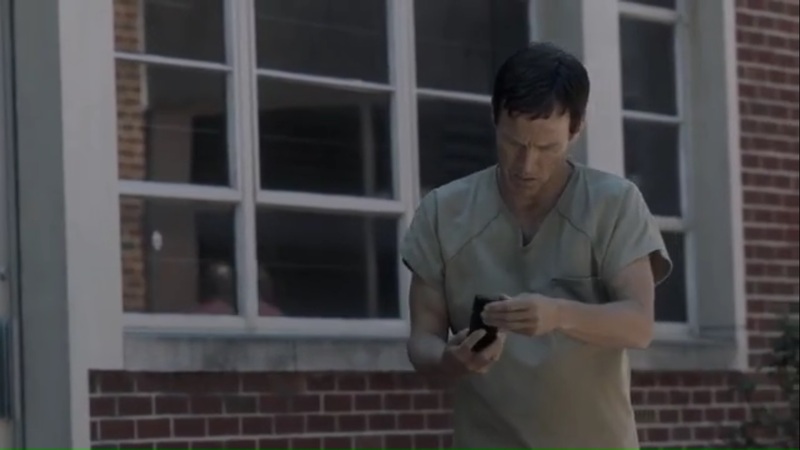 Fade heads out, noting the cameras along the way, and one camera soon identifies Reed Strucker. All the officers soon converge on Reed, who receives a text message telling him to go now. Back at the underground, Caitlin isn’t a surgeon, Jim, but she has to take the chance of removing the bullet. As Lauren keeps pressure on the entry wound, Caitlin works through Trader’s torso and pulls out the bullet. But then the bleeding continues as Trader starts hemorrhaging. 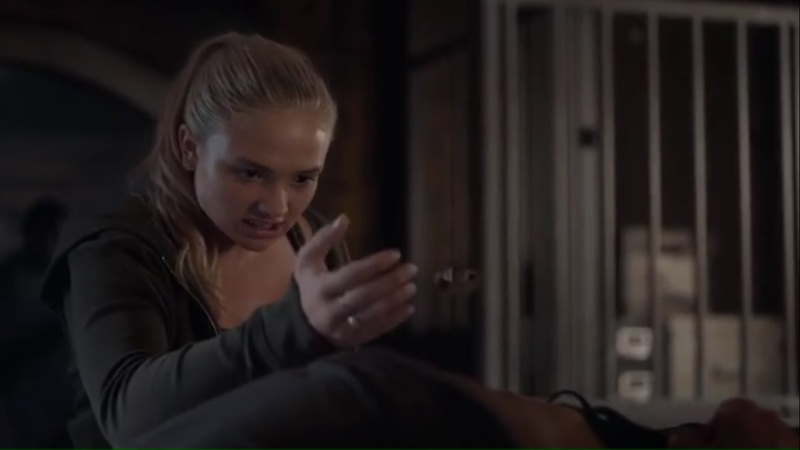 Caitlin shows Lauren the artery, and then Lauren uses her power to put some pressure on it. It works long enough for Caitlin to sew up the wound. And for nearby mutants to notice. Yay, the Struckers did a good thing. 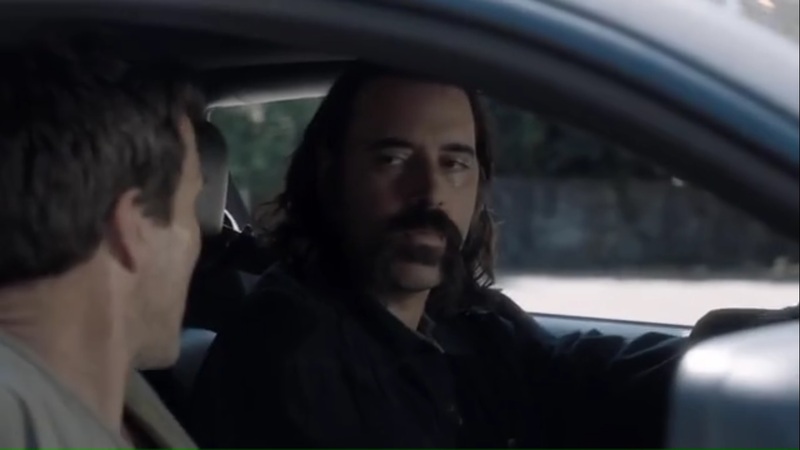 Though Fade is supposed to pick up Reed at the next intersection, Reed arrives and doesn’t find his ride. So when Sentinel Services vehicles approach, Reed is forced to run until he runs right into Fade’s vehicle, which he hid under invisibility. Turns out Fade just wanted to see what side Reed was on. Well, now you know. Back with Turner and the mutants, Sentinel Services prepares to enter, so Marcos wants Clarice to create a portal. 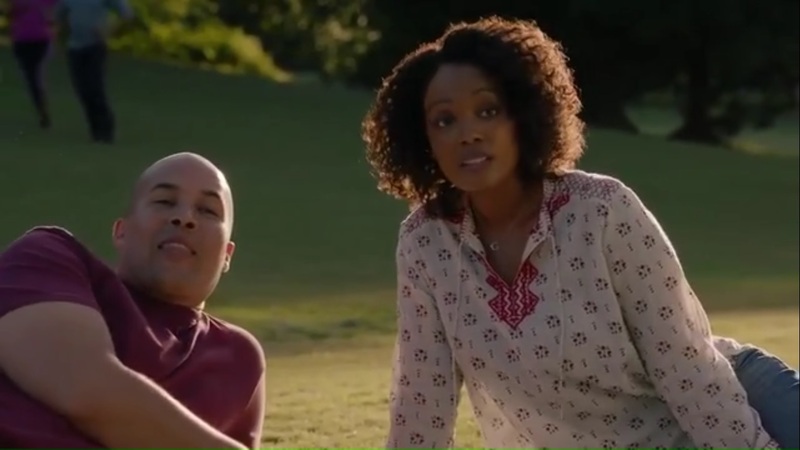 As for finding out information about Pulse, Dreamer is set to get to work by taking some memories from Turner, but she assure him that he won’t feel a thing. Polaris, meanwhile, buys some time by sending metal rods raining down on the vehicles outside. Did I mention how awesome Polaris is? Anyway, Dreamer uses her powers to pull some memories from Turner- and we see a brief mention of The Hounds- while the officers fire in smoke grenades to force the mutants out. 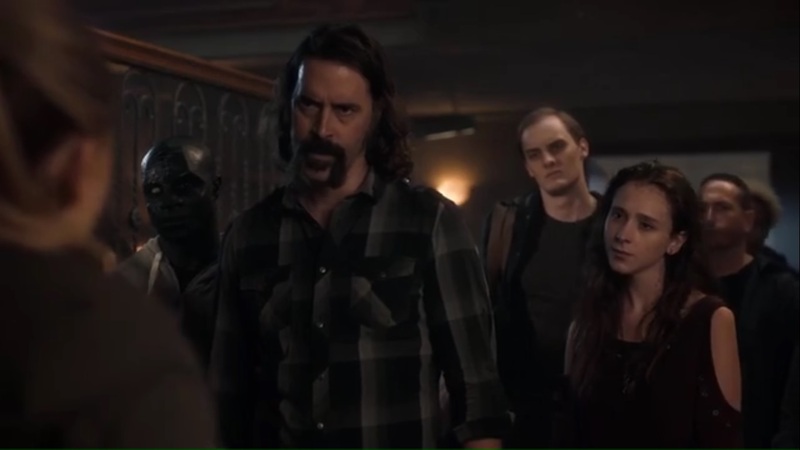 Dreamer isn’t finished and doesn’t want to leave Turner in the state that he’s in, but she’s forced to leave with the others while Turner screams in horror. Oh, and Clarice is more than suspicious of Dreamer now. We’ll get back to that. Back at the hideout, Dreamer goes over what she saw in Turner’s mind, including his knowledge of Turner and a particular logo that John remembers seeing on tattooed Pulse. Reed recognizes one of the drawings as a federal building in Baton Rouge where mutants sent there would soon disappear. Sounds about right. Reed does indeed return to his family for dinner time. It’s not the best dinner. In fact, it’s terrible, but it’s the best terrible meal that Caitlin has ever had. Reed explains to the kids that they can’t flee now. He wants to help the mutants learn more about Sentinel Services, so for now, they’re staying. Plus, Caitlin and the kids saved Trader. Reed figures that the mutant underground could use them. And at last, they’re all together. 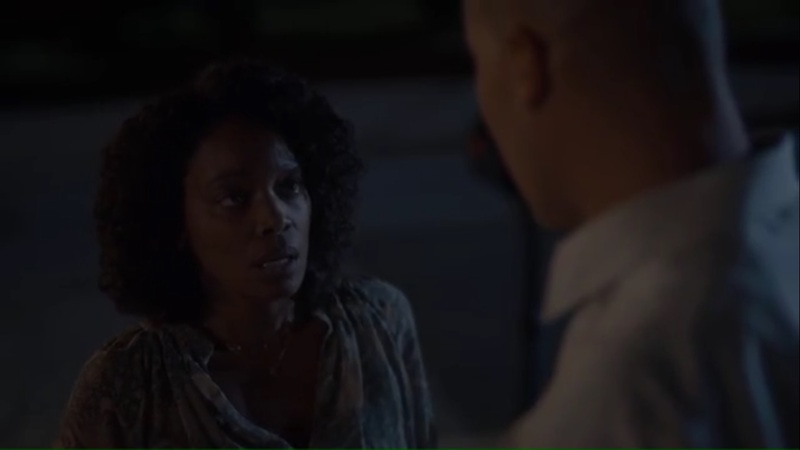 At long last, Clarice confronts Dreamer about whether she messed with her head, given that she’s been having dreams about John that she doesn’t remember having prior. Dreamer admits that she needed to give Clarice a connection in order to tap into her powers, but Clarice is livid that she has a connection with someone she didn’t love. As of right now, Clarice warns Dreamer to stay away from her. 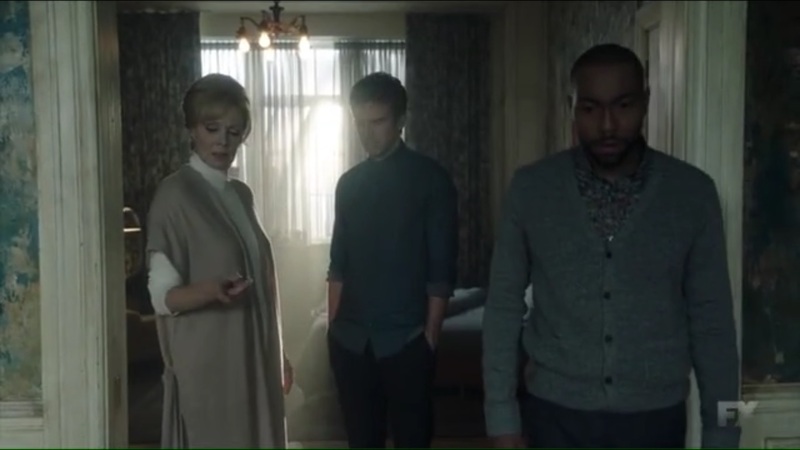 Turner heads home and tells Frances that he’s feeling a bit scrambled, but then asks if Grace is still awake. 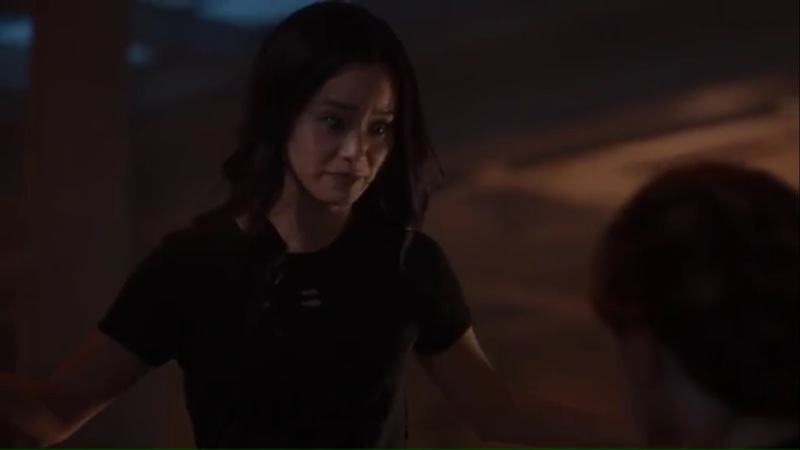 Frances is surprised to hear Jace discuss their daughter and worries about what the mutants might have done to her husband. 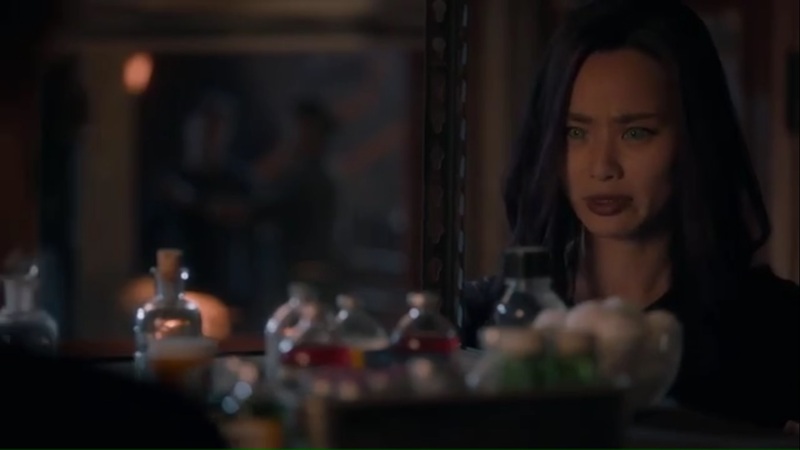 She reminds Jace that they’ve lost their daughter four years ago and a shocked Jace is now forced to relive the painful knowledge that his daughter is dead. Well, hell, with all that in mind, Dreamer seems like the real villain of the show. If Magneto is any indication, one thing that makes for a great villain or antagonist, whether in the X-Men world or otherwise, is dimension. Adding a layer of sympathy doesn’t hurt to help flesh them out and make you see their side of things. 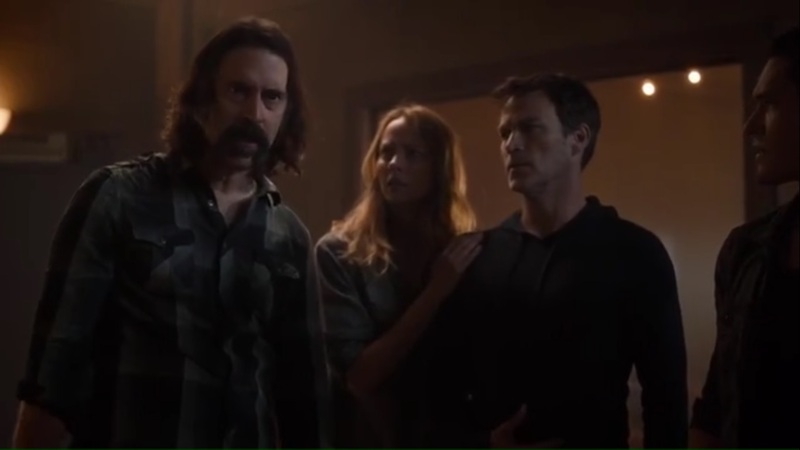 While the opening flashback just puts a face to Turner’s loss, and I’m left wondering why neither parent grabbed Grace, it does show us his loss instead of him continuing to just tell it. Turner comes off like a twisted version of Magneto. While Erik has his hatred for all of humanity and sees himself as superior, Turner, does the opposite of what a Charles Xavier would do- blaming the majority for the actions of few. 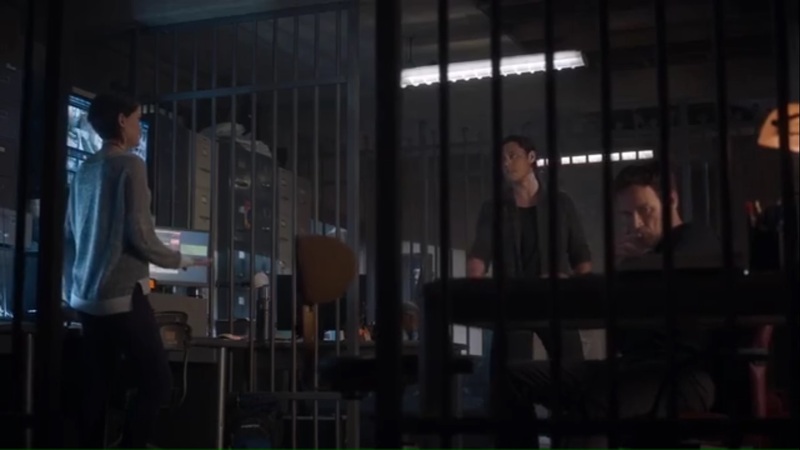 As he’s said to Reed, he sees no difference between a good and bad mutant, and that remains true here when he’s interrogated by Polaris and Eclipse. It would be one thing if Turner just had an axe to grind with mutants, but the stakes are more personable for him because of his loss. 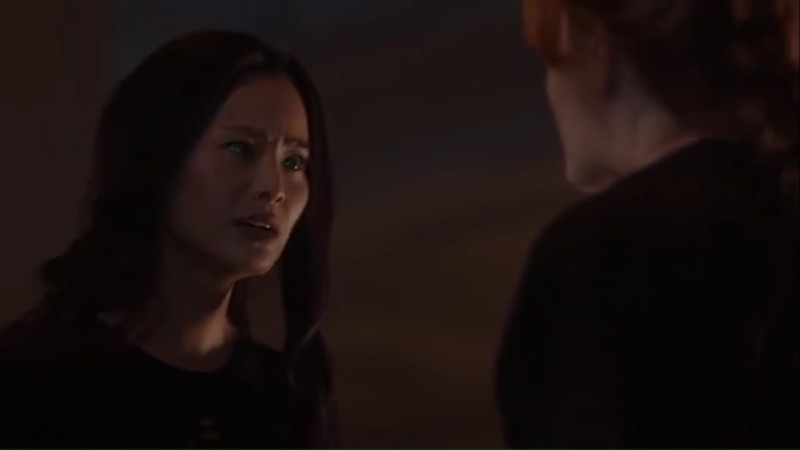 It’d be one thing if one of the mutants we’ve followed was the one who got Grace killed because that would make this even more personal, even though revenge itself is a bit of a lame villain motivation. 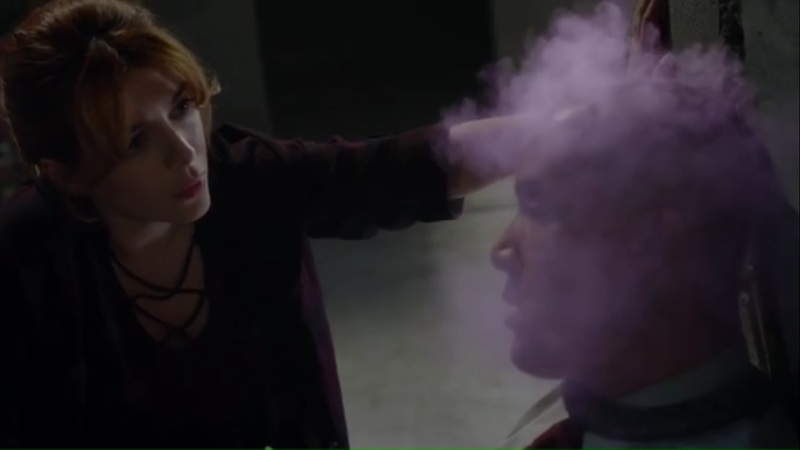 But since we don’t see who did it, any mutant can be the source of Turner’s ire. 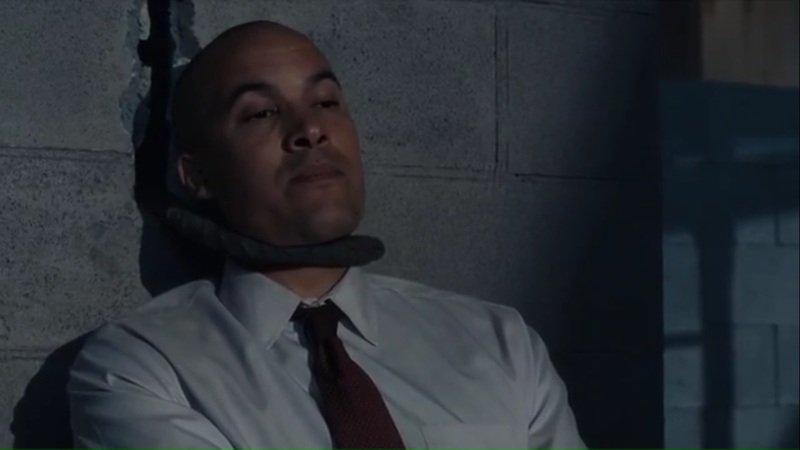 And Coby Bell is great at making Turner a character you dislike, but also somewhat understand, given what he’s lost. And it’s made worse when he’s forced to relive the horror of losing his daughter all over again. As if Dreamer just hit the reset button far enough for him to learn one more time that Grace is gone. And if anything, once he learns why he’s reliving this, he’ll have an even bigger grudge against mutantkind. But at least we’re spending some time with Turner and getting in his head. The ironic thing about Dreamer and her powers is for a mutant whose powers have inserted her into other character’s storylines, we’ve yet to spend a lot of time with Dreamer specifically. Same with Sage, but right now, Dreamer’s abilities have caused as much conflict as they have help, and even the help is questionable. Yes, Dreamer giving Clarice a connection to John wasn’t the best suggestion, but there wasn’t much time to deliberate and it did help Clarice tap back into her powers, so Dreamer didn’t do it from some place of vindictiveness. Blink couldn’t conjure up a portal, so Dreamer, against Thunderbird’s judgment, took a shortcut. Not ideal, but for the time being and for the sake of rescuing the others, it worked. I say this because for a character with an ability to manipulate the memory, and who has been used to help advance the plot, Dreamer should have some time devoted to her. Her powers are very reminiscent of Ptonomy’s on Legion, but even he got some development early on compared to Dreamer. My hope going forward is that Dreamer gets some character growth rather than being used as a plot device. Though it’s nice that Blink finally confronted Dreamer about the dreams after giving her the evil green eye through most of the episode. 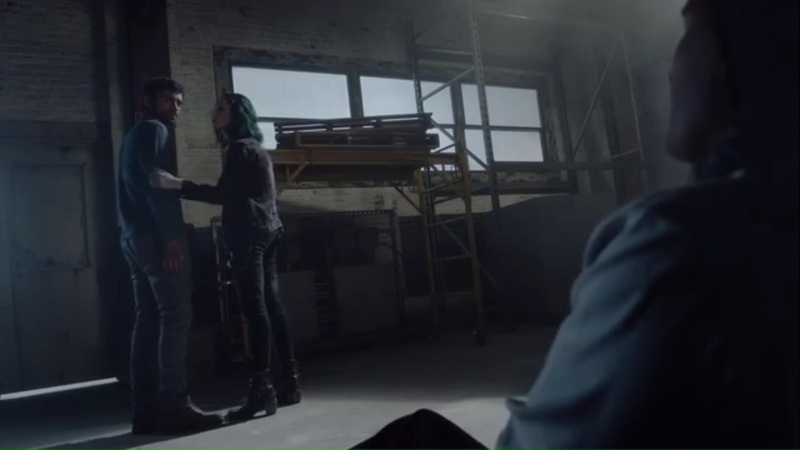 But getting back to the kidnapping, this was great to allow Polaris and Eclipse not just to try and gain information from Turner, but also catch up. 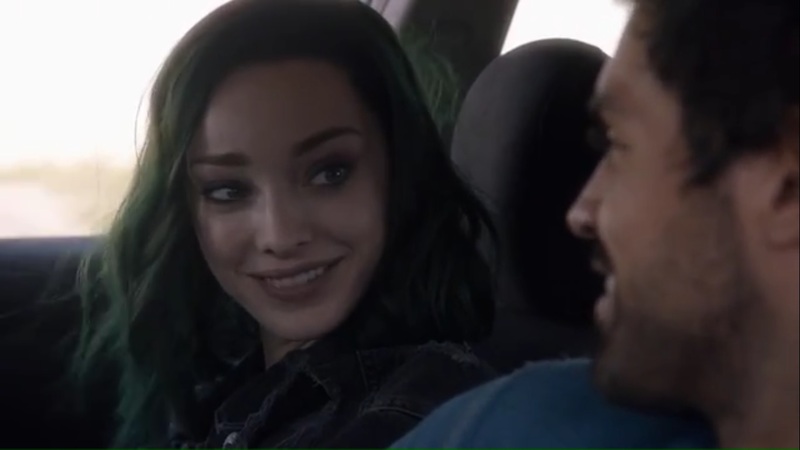 It’s thanks to the chemistry between Emma Dumont and Sean Teale that their scenes together feel so strong and genuine, and I feel as happy as the two are that they’ve reunited. Plus, seeing them in action together was a way to show how their powers can complement one another. 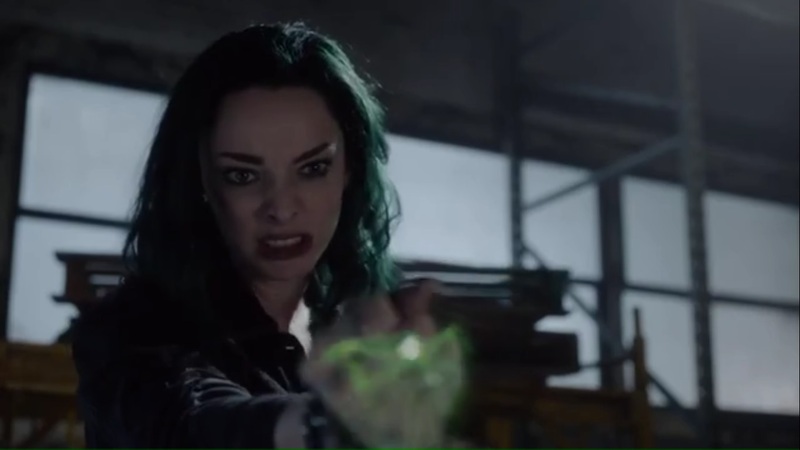 Plus, it’s nice to see Polaris go on the offensive after being imprisoned. Watching her overpower the officers with ease and interrogate Turner felt cathartic after all she’s endured. And, both she and Marcos had a point. Sure, it shouldn’t be a numbers contest, but mutants have taken a large toll in this ongoing war with the humans. A war where they’re forced to run and the X-Men aren’t around as support. All these factors, I feel, make it more realistic for Polaris to be less merciful against humans. I wouldn’t say she’s as much against them as her father is- she does agree to work with Reed Strucker. And she’s not just a mutant with a mean streak, given her concern about her baby’s future. Speaking of, the potential name baby name of ‘Aurora’ is apparently not a wink or nod to Alpha Flight. Well, damn. The Struckers got the short stick as far as engaging plots this week, but still development. 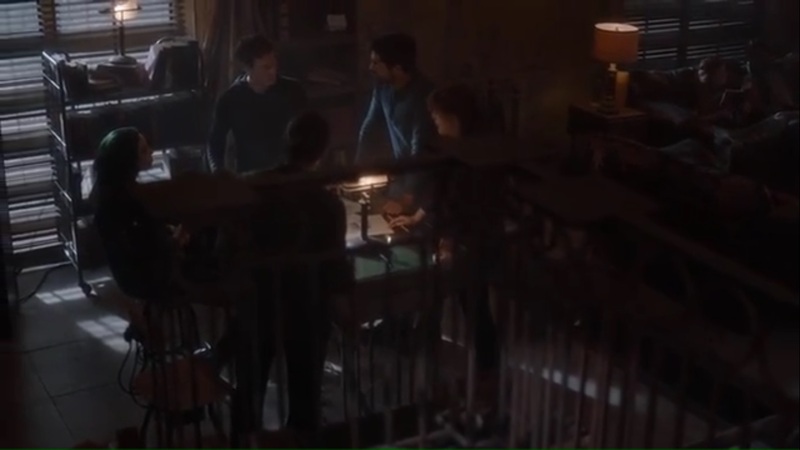 I don’t get why Reed had to be paired with Fade, given how Fade doesn’t trust him. When Reed went on the run, I was expecting Fade to double cross him and leave him for Sentinel Services, and I’m glad I was wrong. But John could’ve sent someone like Shatter or Sage instead. It’d at least give either of them something to do. Plus, Fade has every reason to distrust Reed, sure, but Reed did put himself on the line to allow Fade to even get to the underground in the first place. Reed has shown that he wants to help the mutants and his decision to put the escape to Mexico on hold to help the underground shows his willingness to be a part of this fight. Same goes for Caitlin and the kids, who get even less to do, but are instrumental in saving Trader’s life. 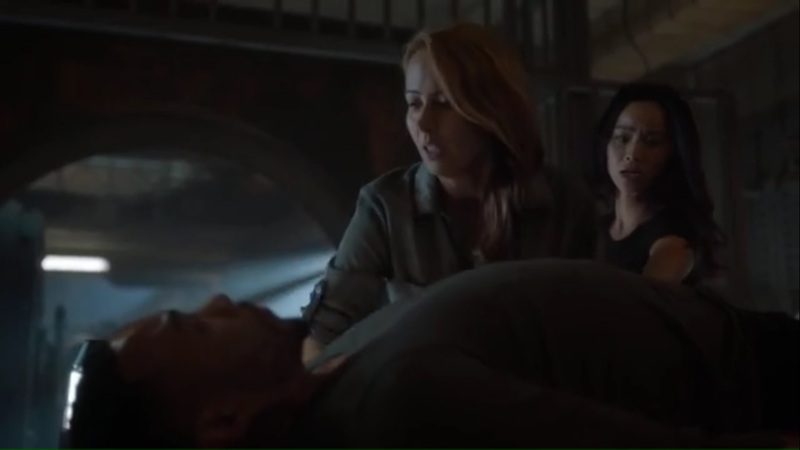 Hey, not only did Andy offer his blood, but Lauren used her powers to smooth the process for Caitlin, who previously didn’t want her kids involved in this. Sure, that was in regards to fighting, but she’s seen multiple times now that when her kids put their minds to it, their powers can be of great use on and off the battlefield. 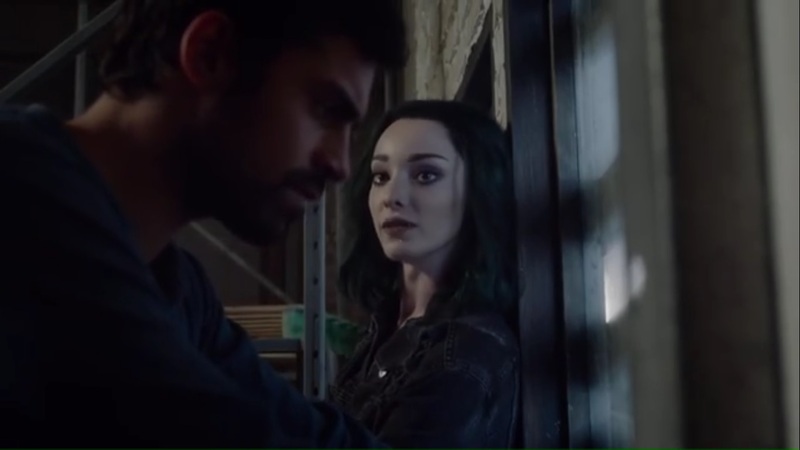 “boXed in” provided some great character tragedy for Turner and gave Polaris and Eclipse time to bond not just during interrogation, but over their future. While the Strucker storylines weren’t as strong as the one involving Turner and the mutants, it did show the underground that the Struckers can be trusted and will be wiling allies in this war. This entry was posted in The Gifted and tagged Amy Acker, Andy Strucker, Blair Redford, Blink, Brad Marques, Caitlin Strucker, Carly Soteras, Clarice Ferguson, Clarice Fong, Coby Bell, Dreamer, Eclipse, Elena Satine, Emma Dumont, Fade, FOX, Frances Turner, Hayley Lovitt, Jace Turner, Jamie Chung, Jeff Daniel Phillips, Jeremiah Chechik, Jermaine Rivers, Jim Campolongo, John Proudstar, Lauren Strucker, Lorna Dane, Marcos Diaz, Paula Turner, Percy Hynes White, Polaris, Reed Strucker, Sage, Shatter, Stephen Moyer, Tex, The Gifted, Thunderbird, Trader, X-Men by omarid513. Bookmark the permalink.